The senior Pastor of Awaiting The Second Coming Of Jesus Christ Gospel Church in Akure, Pastor Adewale Giwa, has advised the governorship candidate of the Alliance of Democracy in the last governorship election in Ondo State, Chief Olusola Oke to leave politics for another lucrative job. Pastor Giwa, who was reacting to the statement made by Chief Oke who said he regretted rejoining the All Progressives Congress, APC, revealed that he (Giwa) personally warned the politician to remain in his previous party. 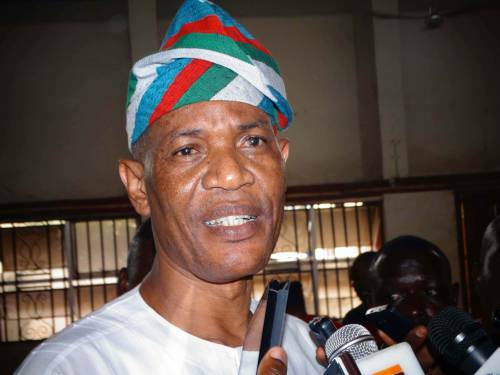 Oke had led his supporters to the APC shortly after he lost the 2016 governorship election. The former National Legal Adviser of the Peoples Democratic Party, PDP, and his supporters had since been sidelined in the scheme of things. However, Giwa in a statement to DAILY POST said he knew Chief Oke would be used and dumped by the administration of Chief Oluwarotimi Akeredolu. â€œYes, I warned Chief Oke when he wanted to rejoin the APC, but didnâ€™t listen. Look at where he has ended up his political career. â€œAs a matter of fact, it is time for him to quit politics because he doesnâ€™t know the game. He needs to go learn the game more from professional politicians.